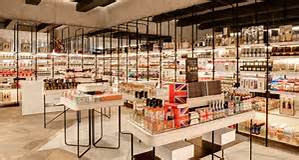 The 'posh' UK department store, Harvey Nichols, is running an Italian promotion in their food and drink department until the end of December. A range of new Italian wines, pasta sauces and everything in the Italian food world are there for tasting and purchase. 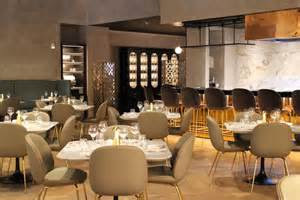 I was fortunate enough last week to attend an evening of Britalia Wine and Food Tasting in the new restaurant of their Birmingham store arranged for me by my journalist daughter. Hosted by their wine specialist, Siofra O'Brien, an Irish women who knows everything there is to know about wines and spirits, thirty or so special guests sat down to a five course tasting menu accompanied by specially chosen Italian wines. 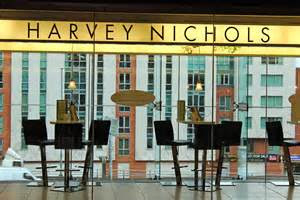 While Harvey Nichols is well known for its range of spirits, they have less of a reputation for stocking a variety of good quality wines and so this was the first of many attempts to attract more customers to their wine selection, through an evening of tastings alongside good food. 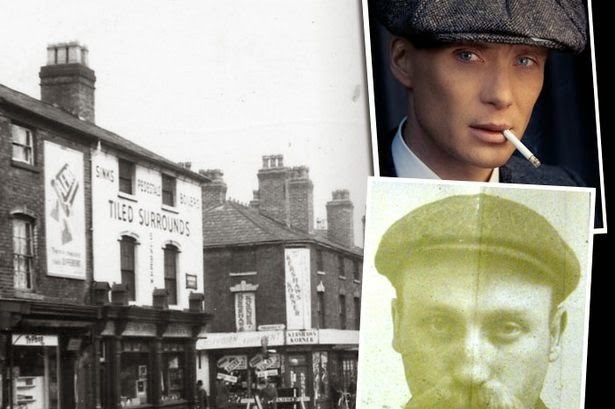 The arrival of my partner and myself down the spiral staircase from Birmingham's Mailbox, was marked with a Amaretti cocktail each and canapes that included Pasta Shells filled with Ragu and Truffle-filled Arancini. Well turned out staff hovered around the bar area before showing guests to grouped tables that gathered everyone alongside other friendly and hungry customers, a touch which immediately made everyone feel relaxed and chatty. Siofra briefly welcomed guests, outlined the menu before us, and explained the background to the evening. Five food courses were to be accompanied by her specially chosen 'new' white and red Italian wines. The opening course of Speck, Grilled Artichokes and Pickled Girolles featured a wine from Northern Italy, ''Roero Arneis Cornarea'' (2015)- a lovely light fruity white wine that beautifully accompanied the sauce of the pickled chanterella mushroom. While I am not a lover of artichokes, alongside a succulent Italian ham, the dish was delicious. The course of fish arrived promptly as guests, previously unknown to each other, chatted loudly across tables of wine glasses ready for filling. A Pan Fried Meagre, Chive Creme Fraiche Potato, Shellfish Reduction and Sea Vegetables arrived by bowl. The reduction was loud, but the fish delicate and soft white to the taste with the vegetables simple enough not to distract from the beauty of the seafood. 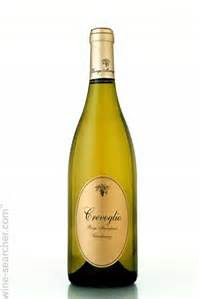 As for the wine to sit alongside it - a ''Crevoglio Chardonnay'' (2014) - a dry, apple tasting wine from Piedmont that typified the delightful underrated chardonnays' of Italia, showing-off its suitability with a well constructed fish course. As our host explained the next wine - a Sicilian white grown on the dark soiled slopes of Mount Etna - ''Etna Bianco Alto Mora''(2015) - our main course of Corn-fed Chicken, King Oyster Mushroom, Gnocchi, Truffle Cream and Rosemary Oil, arrived at the table. While I found the large mushrooms under cooked and struggled to get my knife through them, the chicken was moist, tasty and beautifully cooked, sitting elegantly in the truffle cream. As for the wine, a little too metallic for my taste and not one I would easily select for a dinner party. Clearly it reflected its grape's conditions of growth in dry volcanic soil. The dessert course from the outset was a disappointment in presentation. Dark Chocolate Zabaglione, Morello Cherry Sorbet and Giovanni Jelly promised so much on the menu, but arrived as a 'mess' on the plate. A 'splurge in a dish' could best describe it. 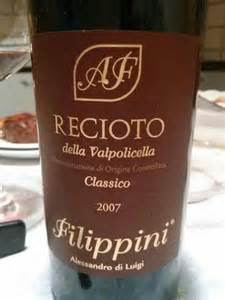 Thankfully, its accompanying wine, a ''Recioto Della Valpolicella Classico'' from the vineyard of Giovanni Allegrini, helped to lift my spirits. A lighter valpolicella than I am use to, its flavours were well chosen for a dessert course, and this was a red wine that I would happily buy in future. Finally came the Selection of Italian Cheeses with a bowl of honey for dipping the Parmigiano Reggiano. Another wine from the Allegrini stable of wines, ''La Grola Allegrini'' (2103) was the sweetest of the all the wines, but not a 'full' red wine. Alongside the well chosen range of cheeses, it provided a succulent and satisfying end to the meal, without being the only wine one remembers from the evening. 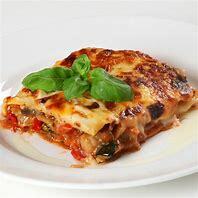 I went away from this delightful evening having made some new friends, gorged on some well constructed and thoughtful food and tasted some exciting new Italian wines which have broadened my experience and knowledge of wines from the country I love, and which I thought I knew.